. . . and it only gets worse from there. 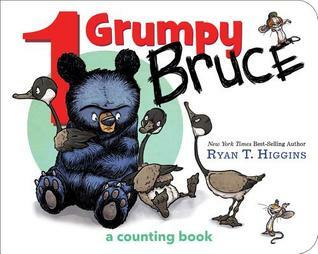 Long-suffering Bruce once again contends with an increasingly crowded household, this time in an original board book where young ones can count the never-ending party guests. 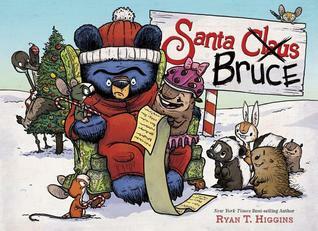 Full of fun characters and humor, 1 Grumpy Bruce is just right for our littlest readers. This is one adorable counting book. I read it to my 2 year old grandson and he giggled the whole way. He was counting with me and loved the silly geese. It's a great book and a wonderful addition to any child's library. But that doesn't stop the whole forest from lining up to give him their Christmas wishes when he becomes the victim of mistaken identity - again. I loved this story. I know the feeling of being grumpy at the holidays and wanting to hibernate like Bruce wants to. Hehe. It's was also so much fun to see the geese and mice making Christmas special. I read this one to my 6 year old grandson and he giggled the whole way through. When I asked him what he liked best, he told me the pictures specially the geese and mice. It's the perfect addition to any child's Christmas library! Enjoy this one for the holidays. There has never been a hunt that Dorian has lost. With his sights sent on a relic the Dragon Kings need to battle an ancient foe, he won’t let anything stand in his way – especially not the beautiful owner. Alexandra is smart and cautious. Yet the attraction between them is impossible to deny – or ignore. But is it a road Dorian dares to travel down again? With her vast family fortune, Alexandra Sheridan is never without suitors. No one is more surprised than she when the charming, devilish Scotsman snags her attention. But the secrets Dorian holds is like a wall between them until one fateful night when he shares everything. In his arms she finds passion like no other – and a love that will transcend time. But can she give her heart to a dragon?? 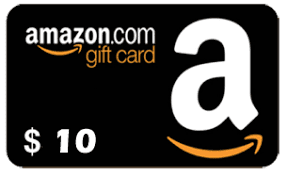 INT as long as you can accept a gift card from Amazon. Fight or Flight by Samantha Young sounds good. 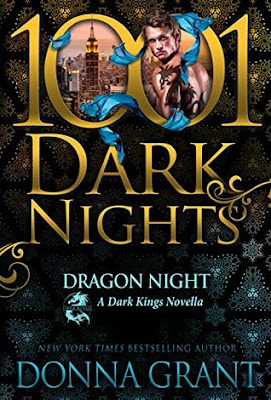 I used to read PNR all the time so Dragon Night has my interest. I'd choose Fight or Flight by Samantha Young. Fight or Flight is going on my GR list!! I loved Fight or Flight!! Dragon Night sounds good. 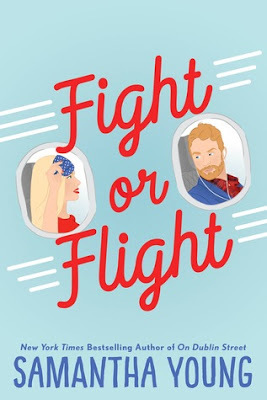 Fight or Flight is now on top of my TBR list. Fight or flight sounds like a great one to read next! I cant wait to read Fight or Flight .